Emergency communications before, during and after hurricane. Amateur Radio operators (often called “hams”) continue to provide emergency communications in New York and Vermont where Hurricane Irene’s flooding isolated whole areas. According to the ARRL – the national association for Amateur Radio, specially trained volunteer hams from surrounding regions were brought in at the request of Greene County, NY authorities. Greene County was devastated by flooding following Irene. Radio amateurs are also aiding the American Red Cross relief efforts by providing technical expertise and working with their communications staff. The work of the Amateur Radio operators began many days before Hurricane Irene made landfall when the hams turned their hobby activities into important communications networks that relayed storm information to the National Hurricane Center in Miami. As Irene’s winds began hitting the East Coast, more hams came on the air to provide critical weather spotting information to the National Weather Service’s Skywarn Program. The real-time, ground level reporting by Amateur Radio operators allowed the weather forecasters to make more accurate predictions and warnings. Doppler radar cannot see what is actually happening at ground level and the hams’ reports, especially when tornadoes are possibly mixed into a hurricane’s winds, can be lifesaving. ARRL, the American Radio Relay League, is the 156,000 member national association for Amateur Radio in the USA. Its Amateur Radio Emergency Services (ARES) program provides trained volunteers and communications for served agencies ranging from the American Red Cross and FEMA/DHS to hundreds of county and municipal emergency operations throughout the country. 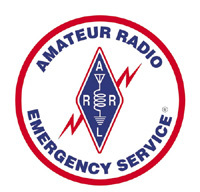 To learn more about Amateur Radio in emergencies, go to http://www.emergency-radio.org.